Archbishop Oscar Romero, killed March 24, 1980 by armed gunmen as Romero celebrated Mass in a small hospital chapel. Yesterday (March 24) marked the thirty-second anniversary of the killing of Oscar Romero. If that name is not familiar to you, Oscar Romero was the archbishop of San Salvador who was murdered – martyred would probably be more accurate – at the beginning of his country’s civil war back in 1980. I mention Archbishop Romero because, as you know, this year we as presiders and preachers have been asked to invite reflection on faith, particularly on how our connection with this Christian community of Dignity has helped to form and fashion our faith as baptized believers. One of the gifts that has been a blessing for my own participation in Dignity is that it has prompted me to reflect on what it means to be a follower of Jesus, knowing as fully as I can who I am as God created me to be. Life is never lived “in general.” It’s always experienced and lived in the concrete, in the specific context of time and place. Just as Archbishop Romero responded to the call to live his faith in the times and the world in which he lived, each of us is called to live our faith in the time and world and worlds in which we live. And so my own reflection on what it means to be a follower of Jesus – as well as what it means to be a gay man who chooses to remain Catholic even when so many of our LGBT brothers and sisters make other choices – is intimately connected to the worlds of society, family, friends, work, politics, culture and church in which I live. All of that – along with the fact that we have been observing this season of Lent – is to say that lately I’ve been thinking a lot about catechesis. Strictly speaking, catechesis is the formal instruction of Catechumens – namely those who wish to become Christian, who wish to enter the Church, and who therefore go through an extended period of formation of mind and heart before freely saying “yes” to Jesus and choosing to enter the Christian Community through the Easter Sacraments. Before they die to self and rise to new life in the saving waters of Baptism, and before they are anointed by the Spirit in Confirmation, and before they share in the Mystery of the Cross which is Eucharist, Catechumens take time – typically many months and sometimes years – to get to know our story, the story of Jesus, the story of Christianity, the story of the Church, the story the Gospel, the story of discipleship. They learn, they read, they observe, the serve, they participate as they are able, they pray. It’s not unlike the extended time of dating and courtship, when two people who may one day make a life-long commitment to each other lay the foundation for that eventual “yes” they will speak to one another in marriage. But beyond the formal preparation for the Easter Sacraments that Catechumens and the Elect go through, we who are already baptized also have a responsibility to continue traveling our individual and communal journeys of faith every day. We have a responsibility to continue our own catechetical formation through prayer, reflection, study, worship, and especially through the choices we make every day about how we live our lives. We do this not only for ourselves, but also for others. Today’s Gospel reading from John tells us that some “Greeks” came to Philip and asked to see Jesus. 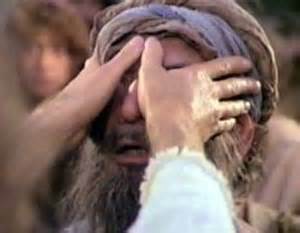 Although they might not be as explicit, isn’t it true that we sometimes encounter people asking “to see Jesus”? 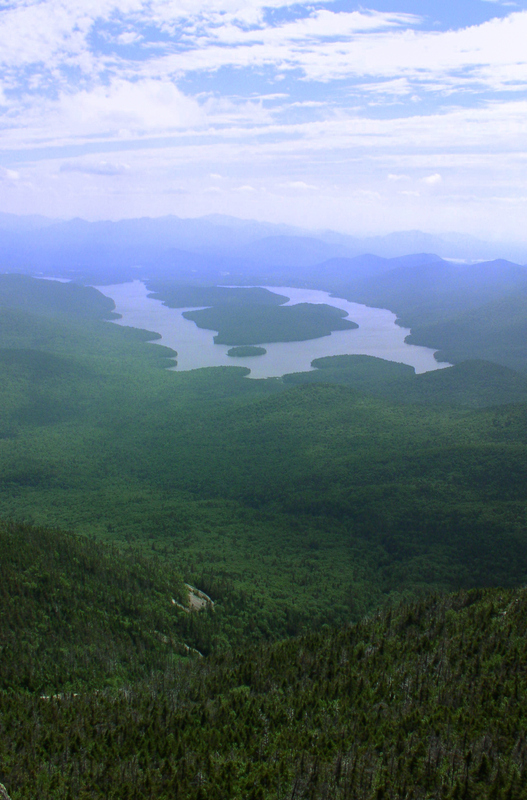 Oh, they may not do so in those exact words, but perhaps you’ve had the experience – as have I – of encountering people who are very intrigued by my assertions that “yes, I am a believing Christian, a practicing Catholic” and “yes, I am also gay.” Now, this intrigue can come from multiple directions. It can come from non-Catholics or non-Christians whose understanding of Catholic Christianity is either non-existent or very poor. It can also come from our fellow Catholics whose own growth in faith may have stopped at some point many years ago. Today, parishes that are preparing to welcome new Christians at Easter are celebrating what is called the Third Scrutiny, one of the rituals of the RCIA, the Rite of Christian Initiation of Adults. The RCIA is a reminder to the Church – to all of us – that being a Christian is neither solitary nor easy. It is neither solitary nor easy because following in the footsteps of Jesus is neither solitary nor easy. As disciples, we are asked to allow our hearts of stone to be turned into hearts of flesh. As disciples we are called to allow the law of God to be written in those hearts of flesh so that we may know and follow God more closely. As disciples, we are challenged to allow our lives to be purged of sin and to let go of whatever gets in our way of knowing God more fully. As we hear today in the Gospel of John, even Jesus recognizes that following God’s will is not easy; for he himself readily admits that he is “troubled.” He is troubled because he knows that “his hour” has come and that the path before him will lead to death. In his book, Why I Am Still a Christian, theologian Hans Küng reminds us that as Christians, as followers of the Crucified One, we always share in the struggles of all human kind. This sharing is indeed the fundamental call and mission of the Church, the People of God. It is through the sharing in the struggles of others, that we join the hour of our lives to Jesus’ hour. This understanding of Christianity – our understanding of Christianity – is very different from the one you might hear if you listen to fundamentalist preachers hosting political candidates, or to sports and other public figures who use their narrow view of Scripture to oppose laws that seek to reduce such things as bullying, hatred, and violence. Having aligned so well his own life with the Gospel message, Oscar Romero’s hour came in a way not unlike that of Jesus. 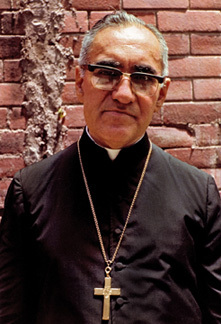 As he stood celebrating Mass in a small hospital chapel, Romero became the Sacrifice he offered, gunned down by powerful forces in his country which were threatened by his calls for justice, his advocacy on behalf of the poor, and his work challenging the status quo of power, wealth, and the ways in which the goods of this earth are shared by all God’s children. Poverty, injustice, discrimination, hatred, violence, war – sadly they are still with us and with us in abundance. As we enter these final days of Lent, let us pray – as Jeremiah says – that God indeed will remember no more the evil we have done, and that we will have the faith always and everywhere to follow Jesus – even to the point of death. In allowing ourselves to be drawn ever closer to Him, may the grains of wheat that are our lives bear fruit in abundance now and forever.